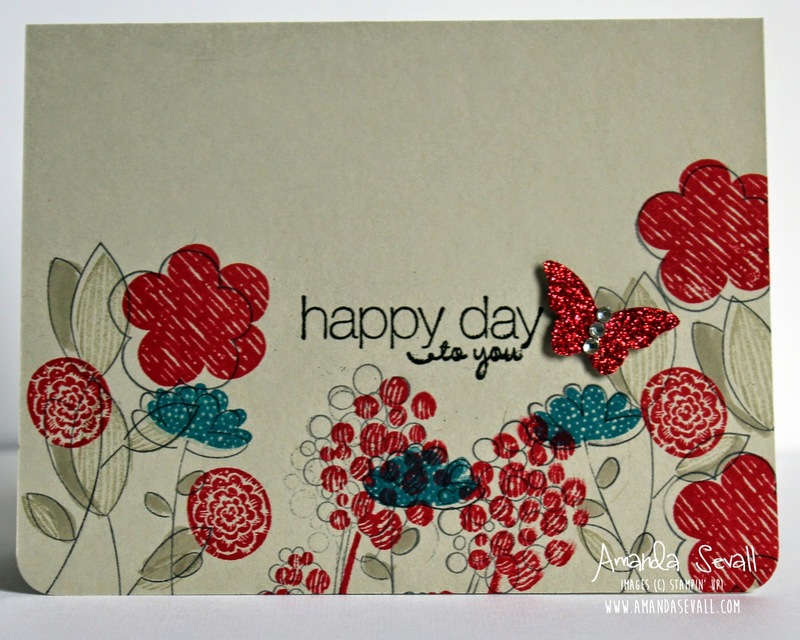 I'm really loving this card today -- I wanted to challenge myself to create something easy, quick and a little messy! I was going for a single layer, but let's face it... 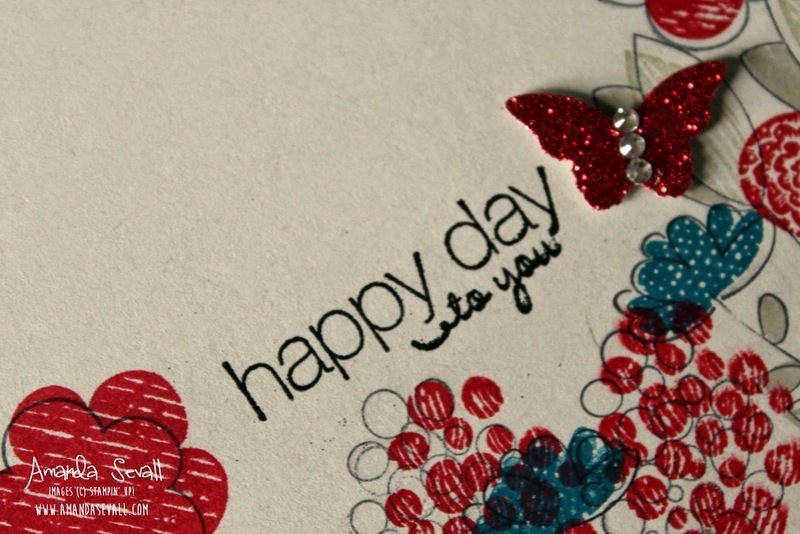 I just can't help myself and had to add something so.... glittery butterfly it is!